Action Homeless have pledged their support to Leicester’s Homelessness Charter. 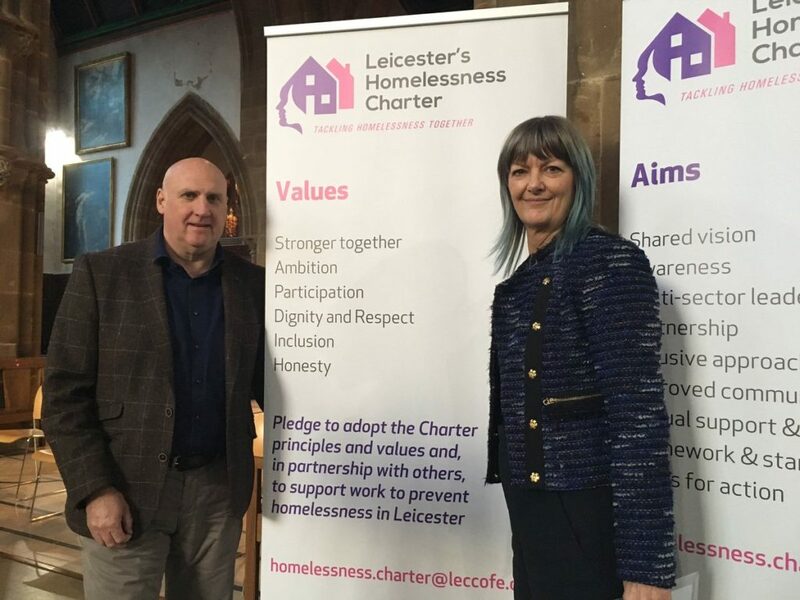 On Monday 29th October Action Homeless CEO Mark Grant and Deputy CEO Karen Purewal joined with partners from across the city to pledge their support to Leicester’s Homelessness Charter. More than 100 people from charities, the voluntary sector, local businesses and statutory organisations attended the launch, which took place at Leicester Cathedral.